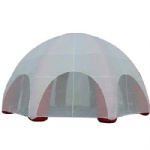 Large spider tent for shelter it is made by PVC tarpaulin and rip stop nylon. Custom making is available. 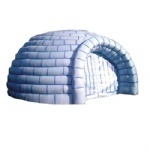 If you want custom-make tent, please tell us the size, color and other requirements, so that we can quickly give you the best offer. 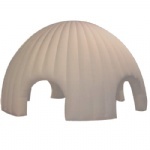 Material: PVC tarpaulin, rip stop nylon or PVC tarpaulin legs with rip stop nylon shelter. Custom making: please offer size, material, color, logo and other requirement. Shipping: by express, air freight or sea to all over the world. Payment terms: 50% deposit +50% payment before shipping, by TT, western union or money gram. Please don't hesitate to contact us, if you have any quesiton. Many Tks!